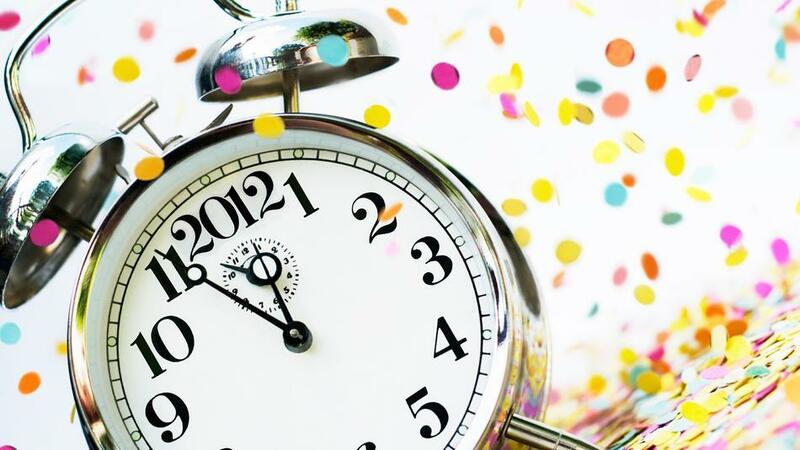 Holy Crap it's New Years Eve! 2. Compile a cookbook - have literally been half-a** attempting this one for yrs. 4. and most important FIND and GET a JOB! 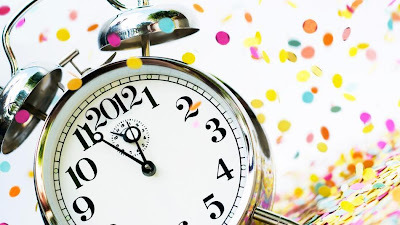 Anyone else setting any goals or making any resolutions? 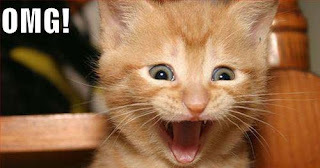 My blog has now been looked at over 1,000 times! I am sooo surprised! However... yall are still UBER quiet! lol. We saw this movie before Christmas and it was hilarious - even for the adults. 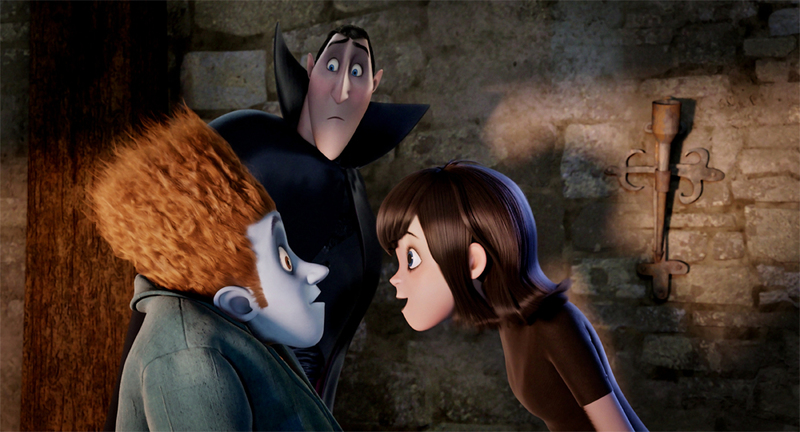 There were lots of jokes and just overall all the supernatural characters were interesting. They all had their own quirks. 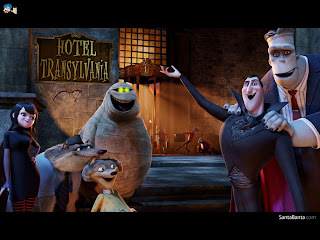 Hotel Transylvania is a resort and hotel for supernatural creatures, where they can relax and stay away from the scary humans. 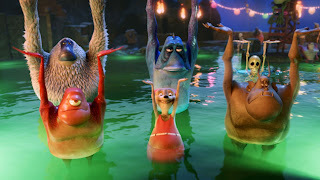 They enjoy all kinds of activities... like synchronized swimming... lol. Merry be-lated Christmas and Happy Holidays to all! We handed these out for gifts this year. They could not have been easier. Candy melts melted in the microwave, dip spoon in and coat in the choc. then push marshmallows or peppermint in it and let it set before you bag them up. 23. Christmas is almost here finish up your projects and make the house pretty for Santa! Snowmen and Reindeer Clay pots! 25. Nerd fun book. Christmas is over. I let her keep the Elf.. cause she really likes him. I just wrote a note that said he will only have magic in Dec.
22. Ginger snuck into Zoey's room and painted her nose red, like rudolph! He was found holding the paint and brush. Today's elf antics are simple. Just a decorated white board. My sister assisted me :) Her artwork. Zoey woke up this morning and her candy canes had grown! I used reese pieces filled canes because she really likes those, but you can also use reg. candy canes. *tip* when you clean this up... DO NOT throw the glitter oatmeal/grits away. Save it for reindeer food on the 24th! Elf Day 17 - Candy Cane Garden! to plant a candy cane garden, even the seeds. plant the seeds - it will be fantastic! Now lay everything out... :) I will post pics of the grown candy canes tomorrow! These are some really simple cards we threw together. They are all done with thumb prints. I added a few details, markers, stickers, sequins - after they had dried. 14 - Ginger hung out and watched the house from high up on the window. So Ginger (elf) almost didnt get moved last night. I laid down to read a little and fell asleep. Woke up at 530 and panicked... this is what a panicked elf gets you. A TP'd tree. Ginger was found lounging in a bubble bath of cotton balls. complete with folded tissues for the bath mat and 'monogrammed' towel. Ginger was found hanging in his sleigh with a note for Zoey. "Christmas is almost here, so let's spread some Christmas cheer. Make Christmas cards with your mommy. ❤ Ginger." 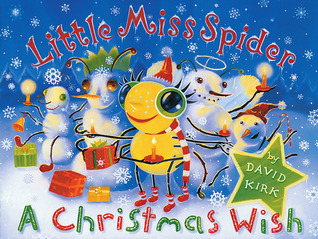 An incredibly cute story about Little Miss Spider. She goes out to play in the snow and meets a friend. llama llama is at it again. 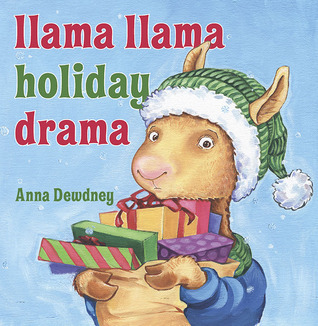 This time the holidays are taking its toll and llama is getting impatient. His mom tells him the best part of Christmas is being with the people you love. Something about this book annoyed the crap out of me. 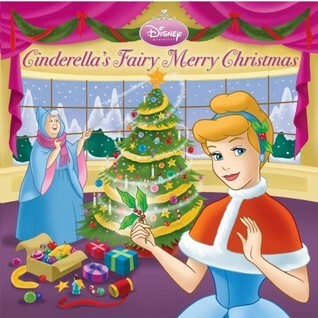 Cinderella's fairy godmother shows up to help her decorate for her and prince's first Christmas together. Her godmother keeps putting up big and elaborate decorations when all Cinderella wants is something small and homemade. In the end they have wonderful first Christmas. 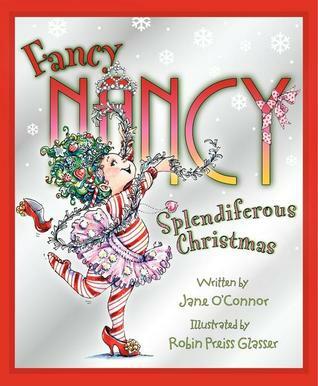 Nancy was a little annoying, but so are all kids when the holiday excitement strikes. My little one loved it though. After an ornament mis-hap grandpa saves the day and teaches the girls how to make ornaments for the tree. The dollar store is a wonderful place. Today Zoey got a foam Christmas tree and snowman. They have the shapes and sticker foam shapes to decorate them with. Ginger was spotted this morning sucking up syrup through a straw. Most communities have something. There have been several free holiday activities around us - parades and what not. Yesterday our local choral society put on a sing-along carol concert for the kids it was beautiful and better FREE! It came out really cute! Today Ginger was spotted hanging out in Zoey's stocking! We went and saw this today and it was wonderful. 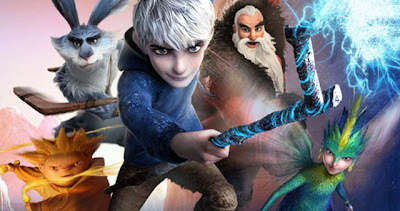 It had a great story line of Jack Frost accepting who he was and of all the guardians protecting children. There were many funny moments. 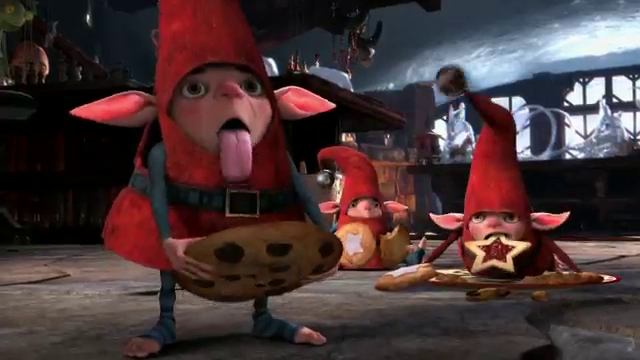 The elves were hilarious. I have watched what feels like hundreds of Christmas movies and I have never seen elves depicted that way. This little guy stole the show! 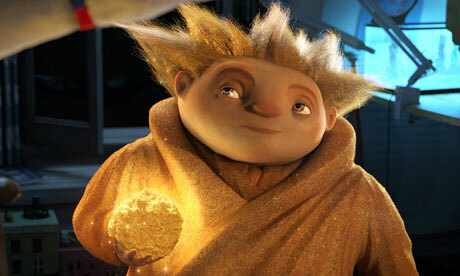 The sandman can't talk, but he more than made up for it! Today Ginger brought Zoey coloring pages!